Proving that Glenn Beck is on the side of corporate America, and not his viewers and supporters, is not a difficult task. Perhaps the easiest issue on which to demonstrate the extent to which Beck conveys a false populism is with net neutrality. The Internet began and operated for years as a neutral field for equal access, free speech and equal, democratic, online participation. In 2005 the Federal Communications Commission made a decision that put that neutrality in jeopardy. Internet providers want unequal, sometimes restricted access and different tiers or speed and access that would benefit those firms while putting consumers at a disadvantage. Beck, as is his wont, sides with the corporations and not the people by making a range of false accusations against net neutrality. An example of what content providers can do occurred recently when News Corporation, Fox News' parent company, blocked access to FoxNews.com and Hulu, a video site, for all Cablevision subscribers. This tactic was employed to get Cablevision to pay more for content owned by News Corp. This is just one type of activity that would be outlawed by legislation to re-establish a content neutral Internet. Without net neutrality, consumers will be experiencing whatever the corporations want them to experience: limited content, differing access speeds and subscription rates, etc. Net neutrality has been cited by numerous Internet pioneers as the guiding principle in Internet development and innovation. Beck's views about net neutrality clearly favor the business firms over the people and he employs false claims in his yellow propaganda against a neutral Internet. The following examples of Beck's false claims were gathered by the liberal media watchdogs, Media Matters for America. Beck: Net neutrality a Marxist plot to take over the Internet. On the October 20, 2009, edition of his Fox News show, Beck said that "we have Marxists that are designing and working on net neutrality -- are big believers in net neutrality, right? Gosh, it does seem that these would be the wrong people to help, you know, innovate business for it. And so what they want to do is, if I can do the third one, control content." Beck: Net neutrality would "destroy the free market that created the Internet." On the October 29, 2009, edition of his Fox News show, Beck claimed that net neutrality "would take the Internet out of the private hands of private business and into the hands of the government. ... It would destroy the free market that created the Internet." Beck: Government "going after free speech" through net neutrality. On the April 5 edition of his Fox News show, Beck claimed that "the government, your government, is going after free speech" through net neutrality. Beck then claimed that the group Free Press is using Beck "as their poster boy" to promote the issue. Beck: People who want to "shut down the Internet" are "selling this as net neutrality." On the April 9 edition of his radio show, Beck said that "Americans have never had a bigger voice than they do now" through the Internet, but that is in danger because people who want to "shut down the Internet" are "selling this as net neutrality and fairness." Beck also portrayed net neutrality as a prelude to a "hostile takeover" of America. Beck: Share net neutrality scaremongering "while you have access to the Internet." On the April 23 edition of his Fox News show, Beck portrayed net neutrality as part of "the current onslaught against free speech," calling it "insidious." Beck added: "Please share that with your friends on the Internet, please, while you have access to the Internet." Beck: Net neutrality means "we are losing our country." On the May 6 edition of his radio show, Beck said that implementing net neutrality would mean government could "control every aspect of the Internet," and that "people who praise Chavez and his revolution as an important democratic revolution will control every aspect of this Internet[.]" Beck added, "They open the door, and your rights to speak out, put things out on the Internet, to express yourself on a blog, to be able to make a political video, gone with this administration." Beck concluded: "We are losing our country." Beck: FCC putting "boot on your throat" by "marching forward" with net neutrality plans. On the May 10 edition of his Fox News show, Beck said that the FCC is "marching forward" with internet plans that involve net neutrality. Beck added, "Marching -- put a boot on your throat." Beck: "Leave the Internet and man's right to free speech alone." On the June 18 edition of his radio show, Beck implored politicians to "leave the Internet and free speech alone," saying, "The minute they shut down the voice of Fox, or talk radio, or the Internet, especially the internet, there's no turning back." Beck called proposed broadband regulation "bullcrap" and advised listeners to by a shortwave radio. Beck: "These people will take over the Internet." 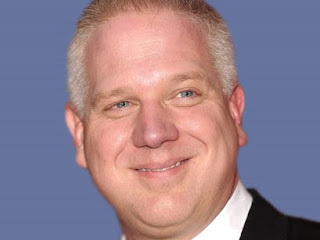 After attacking the Obama administration on the July 9 edition of his radio show, Beck said, "America, you must use the Internet while you have it." Beck added: "These people will take over the Internet. These people will destroy talk radio. These people will take Fox News off."